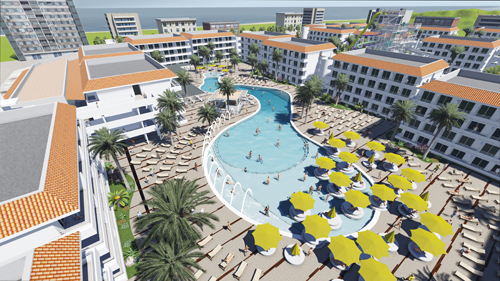 Could a new hotel be about to revolutionise club holidays in 2015? BH Mallorca is a brand new hotel coming to the beautifully and internationally-renowned party paradise that is Mallorca. It is to be an all-in-one party solution that offers great outdoor dance music events, plenty of waterpark-based fun and lots of luxurious rooms in which groups of friends can spend entire weeks having the times of their lives. As well as lots of night-time activities, there will be plenty to do in the day, which will stand BH Mallorca out from the current crowd. Formally known as Mallorca Rocks, BH Mallorca is looking to change the game with a €10 million+ refit and there will be no expense spared on making it the ultimate place to party from May 2015 onwards. The line-ups will be announced in the coming weeks but the organisers are saying think big, and expect only the most in-demand names from the worlds of EDM, house, techno, urban, bass, hip-hop and more. All the talent will be booked by Danny Whittle and Mark Netto — ex-Pacha Ibiza — and Gordon Phillips of BCM fame. 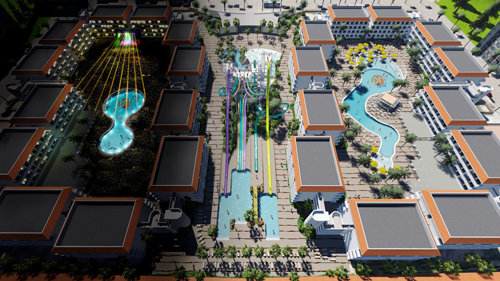 Not only is BH Mallorca a hotel, it also offers its guests nine ‘White Knuckle’ slides in the over–18s waterpark, a wave pool and three jacuzzis. There will also be a new ‘Island Beach Club’, what promises to be Mallorca’s ultimate daytime party venue. It’ll be open all day, bringing some of the most cutting-edge events and promoters to make sure daytimes are just as exciting as nights! Live DJs every day will be bringing the sounds of the summer directly to the assembled sunbeds. And last but certainly not least, there will be The Stage live event arena. This will be bringing you some of the world’s biggest DJs twice a week, every week throughout the season. This will be Mallorca’s only open-air festival venue. When guests book their holiday, they have everything they need in terms of entertainment included so people know exactly what they are paying for — and how much — upfront. Line-ups will be released along with plenty more exciting news announcements in the coming weeks and early part of 2015, so make sure you stay tuned. Find out more at the BH Website and Facebook Page.